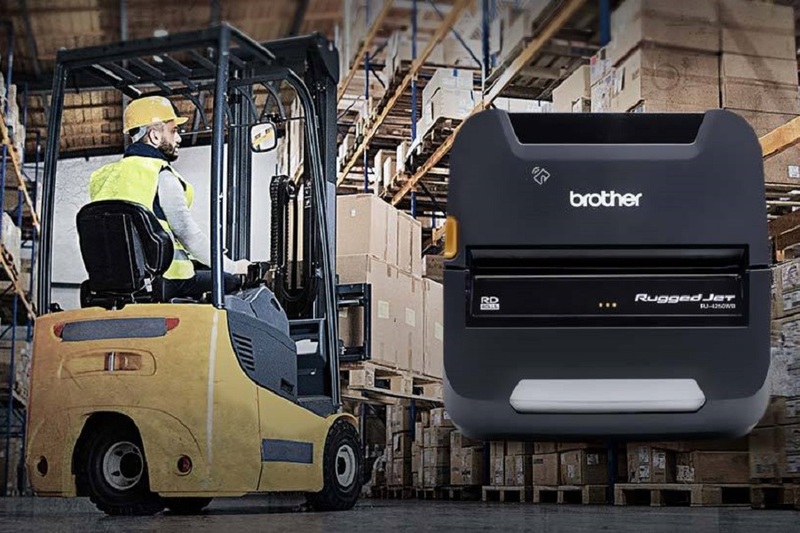 Brother Mobile Solutions, Inc. (BMS), a provider of award-winning mobile and desktop printing solutions, today introduced the RuggedJet 4250WBL – the latest addition to Brother’s popular family of compact mobile receipt and label printers. Unmatched in the industry, the 4” RJ4250WBL is equipped with dual Wi-Fi and Bluetooth radios – and features built-in Apple® AirPrint capability with seamless Apple MFi and Android integration. 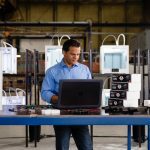 This means the printer is 100% compatible with iPod touch®, iPhone®, iPad® and Android devices, allowing mobile and field workforces to print instantly from the device, without the need to download special drivers or interfaces. The RJ4250WBL was engineered to support a diverse range of applications from retail and warehouse to the rugged, outdoor and in-vehicle mobile environments of field service, route/DSD, transportation, and more. 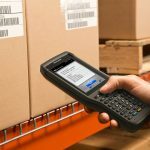 Whether operating inside a facility, store, warehouse or vehicle, users can be assured of easy Bluetooth and Wi-Fi mobile printing capability. Brother’s commitment to innovation means delivering products that meet evolving market needs as well as staying ahead of industry trends and anticipating demand. 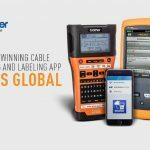 With this newest release, Brother satisfies the urgent demand for a compact, rugged printer that supports the growing number of iOS and Android smart devices in the mobile workplace. This model delivers a streamlined and reliable “ready to print” experience with built-in AirPrint capability, MFi Bluetooth technology and Android Print Service Plugin capability. Innovative. Dual Wi-Fi/Bluetooth connectivity with “ready to print” AirPrint and seamless integration with Apple MFi Bluetooth and Android Print Service Plugin technologies. Compact. Twenty percent smaller than its predecessor for lightweight and ergonomic design. Rugged. 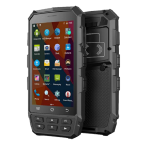 Ultra-rugged construction with reinforced parts, industrial-grade tactile buttons and molded rubber housing engineered for improved toughness, 6.9-ft. drop protection and IP54 certified. Powerful. Enhanced print speeds of up to 5ips and industry-leading battery life with real-time battery status indicator. Easy to use. Active docking station, visible LCD display, simple loading, NFC one-touch pairing (from NFC enabled devices) and remote updates and configuration with free Mobile Deploy app. Smart Li-ion battery (3000mAH). Industry-leading battery life with double the capacity in about half the size – plus indicator for true real-time battery life status. Stay Connected. Bluetooth 4.2 (Classic/LE/MFi) and Wi-Fi (802.11 a/b/g/n) connectivity options, plus NFC capability for easy pairing (from NFC enabled devices), and more. Compatible. 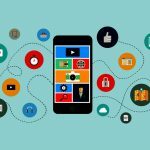 iOS SDKs for easier app integration and development. Versatile. Up and down tearbars to mount and use in any direction, top and side access cover release for accessibility in tight spaces, locking roll holders for accurate repeatable print margins and an active docking station accessory for fast mounting or grab and go situations. Protection. Exclusive Brother 2-year Premier Limited Warranty. 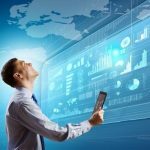 A significant new enhancement introduced with the Brother RJ4200 Series is the custom-developed, cloud-based Mobile Deploy – a mobile device management app, included free with all models. 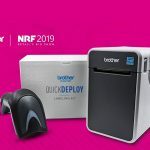 Mobile Deploy helps save both time and money by enabling remote configuration of printers in the field – virtually eliminating the need for IT to physically configure or update devices in the office or instruct over the phone. 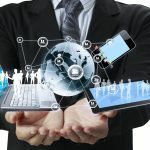 Using the Mobile Deploy app and an internet connection, updates can be pushed directly and simultaneously to field operators’ smart devices. 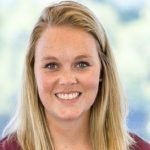 Whether updating one printer or an entire fleet, the operation can be performed simply and easily from one central location. The RuggedJet Series incorporates proven, reliable, and hassle-free thermal printing technology and accommodates a wide selection of thermal media, including standard, premium, fast-dry and weatherproof receipt paper, and custom paper and synthetic labels can be created for nearly any project.